Part of the philosophy of Tatiana Tafur is creating something new, exciting and most importantly – original. All of our furniture can be customised and adapted to suit the finest interiors in the world. Anything from the colour, shape, height, length and material can be changed and developed to create a truly one-of-a-kind piece of luxurious furniture. We were approached by a client who loved our Ancon dining table, but wanted something completely unique. Our skilled in-house designers worked closely with the client to develop an exciting new concept, changing the composition of the table to suit the exact demands of a chic contemporary décor. The achievement of this enjoyable custom design process was a stunning, impactful table in dark, earthy tones. 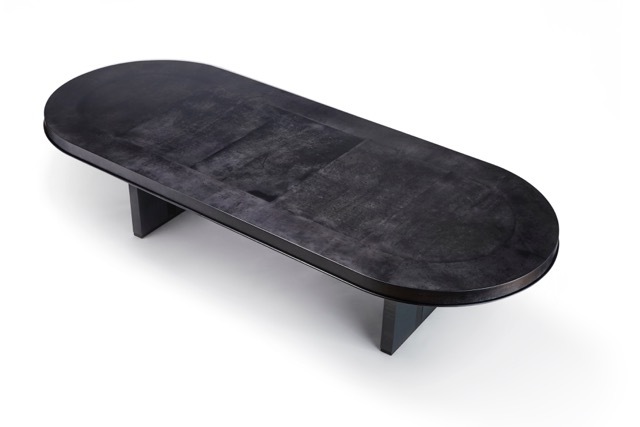 The table top is crafted from charcoal dyed parchment – a rare material achieved using hand treated goatskin. 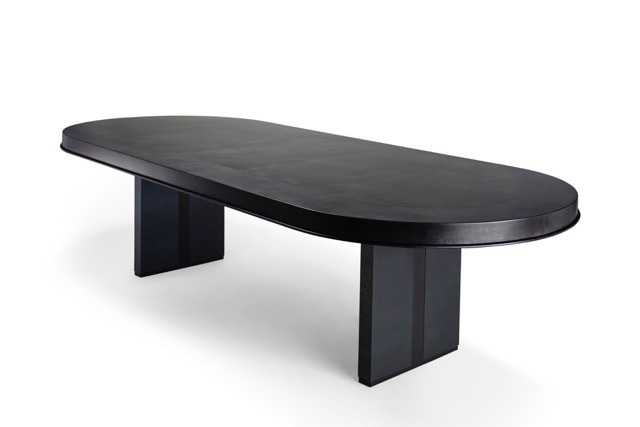 The solid, sophisticated base is hand carved from ash to the exact height specification of the client. This piece was crafted using traditional furniture methods by a team of skilled artisans in Italy. Every item we produce is handmade using techniques passed down for generations. Want to create something completely new? If you’re interested in creating something completely new, get in touch with Tatiana Tafur using our contact page.